IPL 2019 SRH vs CSK at Star Sports 1, Hotstar: SRH vs CSK in Indian Premier League will be played at the Rajiv Gandhi International Stadium in Hyderabad. 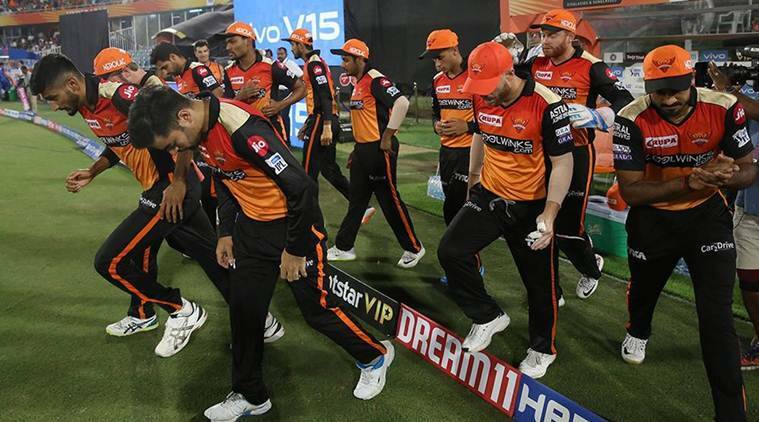 Previous season’s runners up Sunrisers Hyderabad, who have lost their previous three encounters, will look to return to winning ways when they host Chennai Super Kings at the Rajiv Gandhi International Stadium on Wednesday. CSK won the toss and elected to bat first. An unusual decision from stand-in skipper Suresh Raina. Raina replaces Dhoni as captain. This is only the fourth time that CSK will be playing an IPL match without Dhoni. Meanwhile, having missed the World Cup bus, Ambati Rayudu will be aiming to make a statement when a marauding Chennai Super Kings take on a desperate Sunrisers Hyderabad in an IPL encounter. The World Cup snub to Rayudu is the sole disappointment in an otherwise superb tournament so far for Mahendra Singh Dhoni’s men as they are just a win away from clinching the play-off berth. When is SRH vs CSK in Indian Premier League? SRH vs CSK match in the Indian Premier League will be played on Wednesday, April 17, 2019. It is the 33rd match of the tournament. Where is SRH vs CSK Indian Premier League match? SRH vs CSK in Indian Premier League will be played at the Rajiv Gandhi International Stadium in Hyderabad. What time is SRH vs CSK Indian Premier League match? SRH vs CSK match in Indian Premier League begins at 8 PM IST. The toss will take place at 7:30 PM IST. Which TV channels will broadcast SRH vs CSK Indian Premier League match? SRH vs CSK match in Indian Premier League will be broadcast on Star Sports 1, Star Sports 1 HD, Star Sports 2, Star Sports 2 HD, Star Sports 1 Hindi, Star Sports 1 Telugu, Star Sports Select 1, Star Sports Select 1 HD. How do I watch online streaming of IPL 2019 contest between SRH vs CSK? SRH vs CSK match in Indian Premier League live streaming will be available on Hotstar and Jio TV. You can also catch live scores, live updates and live commentary on IndianExpress.com.